Congratulations to the four winners of this month’s estimating jar contest. The actual number was 99 chocolate eggs. 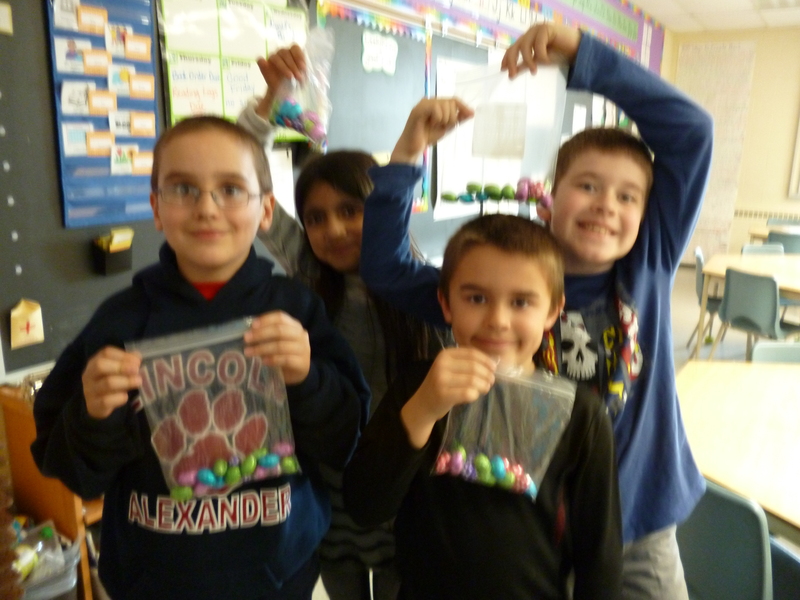 Jacob, Samra, Kevin and Andrew all estimated 100 chocolate eggs. I also want to thank Fatimah for proving that counting by 11’s can be a good choice for checking the actual number of chocolate eggs. Have a great long weekend! This entry was posted in Numeracy and tagged chocolate eggs, counting by 11's, estimating by Ms. Duemm. Bookmark the permalink.